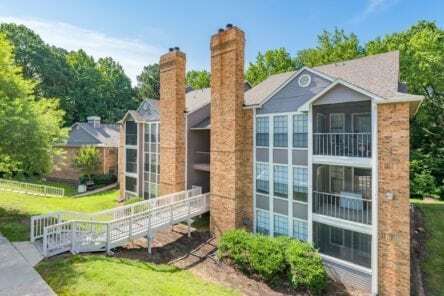 DURHAM, N.C. — November 15, 2016 — Admiral Capital Group (“Admiral”) and McCann Realty Partners (“McCann”) announced the acquisition of Springfield Apartments, a 288-home garden-style community in Durham, North Carolina. The property represents the second acquisition by the Admiral / McCann joint venture. Admiral Capital Group was founded by David Robinson, philanthropist and NBA Hall of Famer, and Daniel Bassichis, formerly of Goldman Sachs. Admiral, in partnership with USAA Real Estate Company, identifies value-add opportunities in office, hotel, multifamily and retail properties valued between $20 million and $70 million. Admiral’s founders have also pledged 10% of their profits to philanthropic causes in certain areas where Admiral invests, building on Robinson’s lifetime commitment to support education and lower-income communities. For more information, visit www.admiralcg.com. Headquartered in Richmond, Virginia, with offices in Houston, Texas, McCann Realty Partners (“McCann”) is a real estate investment and operating company that specializes in the acquisition, development and operations of multifamily communities in the Southeast, Southwest, and MidAtlantic regions. Since inception, McCann has acquired 29 apartment communities totaling more than 7,980 homes in transactions valued at approximately $780 million. McCann has also completed or has under development 10 communities totaling 2,991 homes with an estimated completed value of $400 million. For more information, visit www.mrpapts.com.